Infinite Art Tournament: The Infinite Art Tournament Second-Round Elimination: GRUDGE MATCH: Antonello da Messina v. Anguissola! The Infinite Art Tournament Second-Round Elimination: GRUDGE MATCH: Antonello da Messina v. Anguissola! Yoiks, it's another GRUDGE MATCH! Sofonisba Anguissola nipped by Antonello da Messina in Round One, 7-5, but since then the Man from Messina has been red hot, running up 24 votes to 2 in his last two contests. Will his momentum carry him past his old foe? By the Grudge Match Rule, he'll have to win this one outright -- a tie will be a win for Sofonisba, on the basis of her First Round victory. Leaving us this week with records of 1-2 were Karl Appel (18 cumulative votes for, 24 against) and -- although almost everybody was at pains to mention that they thought he was pretty good -- Alexander Archpenko (11-26) in one of Tournament's rare skunkings. 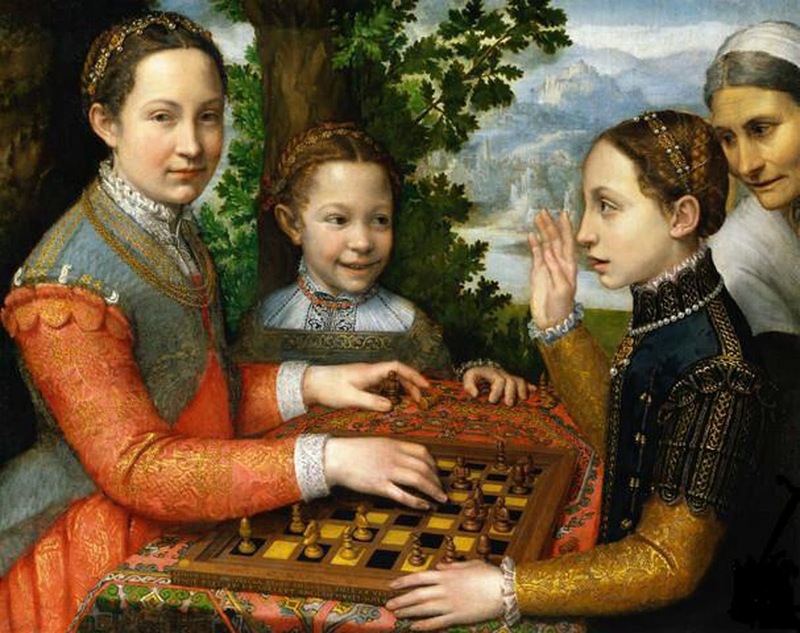 Lost to Sofonisba Anguissola by a two-vote swing in Round 1. YOUR VOTE COUNTS!!! Whupped it up on Andrea del Sarto in First Round Elimination. Skunked Alexander Archipenko in the Left Bracket Second Round. Defeated Italian predecessor Antonello da Messina in Round 1 by two votes -- a one-vote swing would have resulted in a draw. YOUR VOTE COUNTS! Lost to Fra Angelico by a two-vote swing in Round 2 in a match that was thought to be a tie for more than a year. YOUR VOTE EVENTUALLY COUNTS!!! Lit it up all over Karel Appel in the Left Bracket Second Round. My first instinct is for Messina, mostly for that silly yet sweet Madonna with Child one. 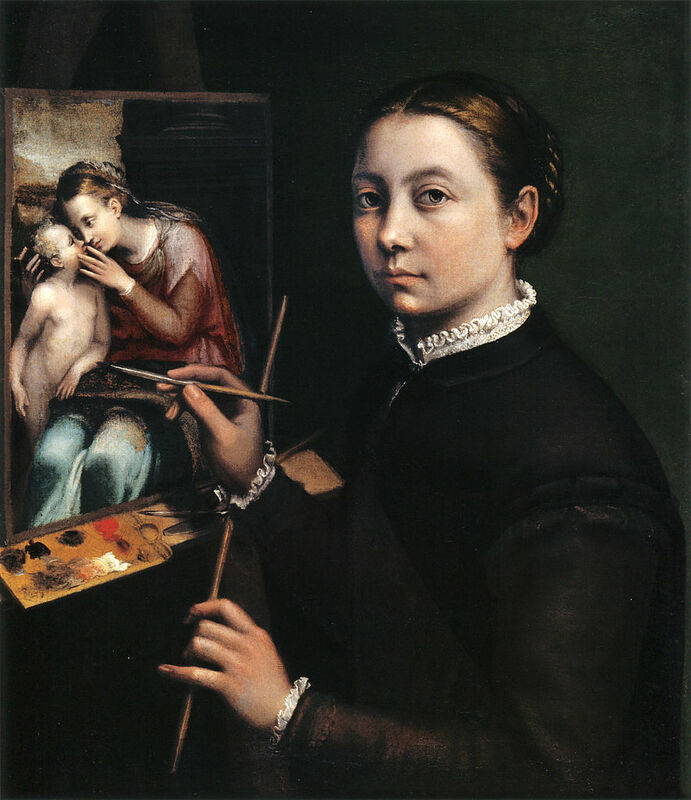 But really, reading about Sofonisba Anguissola and looking at her work, I have to go with her. Just don't ask me to pronounce her name. I like children to look like children--not tiny adults. 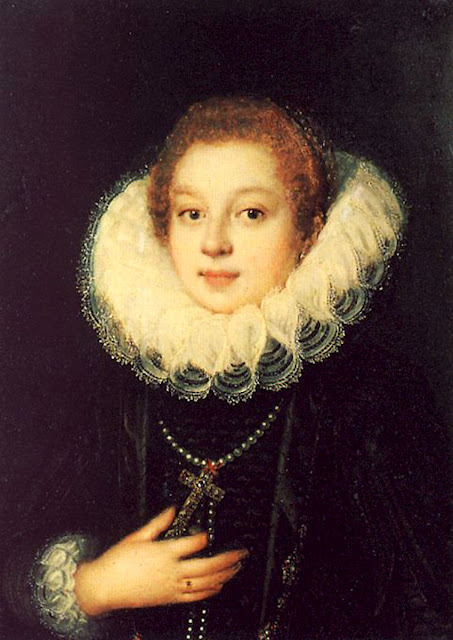 So my vote goes to Sonofabitch... er Sofonisba Anguissola. Give me the first guy. I like that the baby looks like a little man. Oh, killer. I hate to vote against Anguissola. 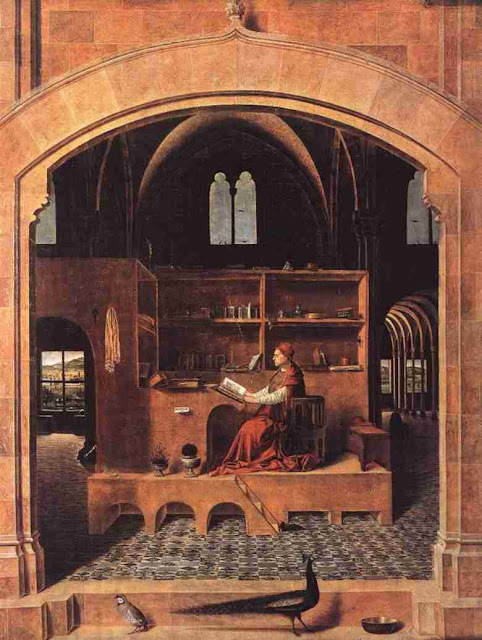 But I really, really like that Mary the Annunciate, and I LOVE St. Jerome in his crazy study. So I'll go with Antonello da Messina. An email voter breaks for Sofonisba Anguissola. This is very close but the first painting of Messina's is my favourite so I'll go with him. 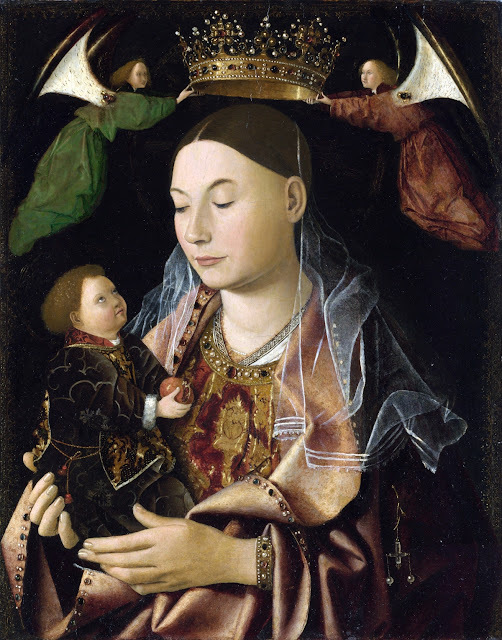 In a surprising come-from-behind sort of deal, funky cold Antonello da Messina ties with Sofonisba Anguissola! So there they'll wait, until another Second Round Elimination tie gives somebody of their own stature to pick on! NO WAIT!!! I forgot it was GRUDGE MATCH!!! 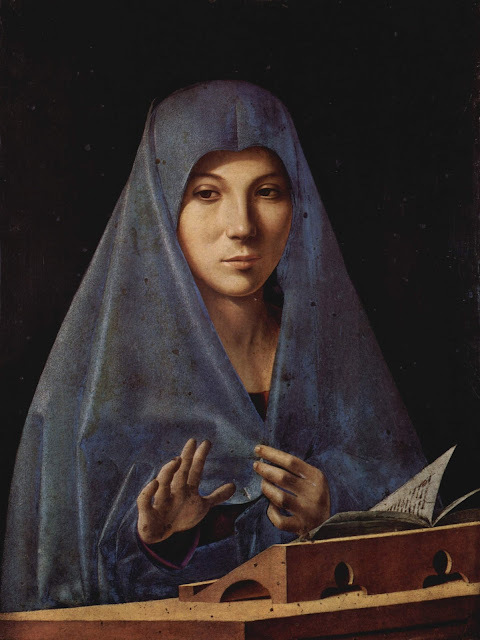 Antonello da Messina needed to win it outright to overcome Anguissola's First Round win. He didn't -- so Anguissola is the winner by rule, and will progress to the next round!